An enthralling mix of history, mystery, thriller and folklore that I adored and now has me itching to read more folklore tales! 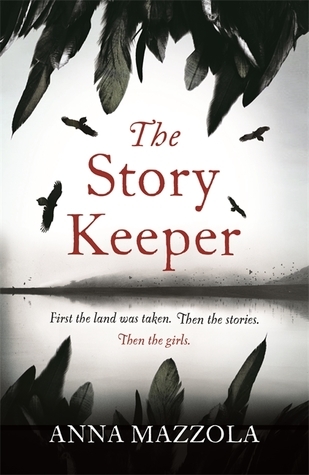 I loved THE UNSEEING from this author, so have been eager to read her latest release and once more I've been captivated by the setting, the characters and the unsettling feeling throughout as the tale of missing girls unfolds on the Isle of Skye. Set in 1857, Audrey is not ready for a life of conforming. An unhappy home life due to her father and stepmother, she is eager to get away so is happy to escape to Skye to fill the vacancy advertised as a collector of folktales for Miss Buchanan. Her mother used to collect stories too, so Audrey has grown up around the dark local tales and wishes to help collate more. She is initially met with resistance from a lot of the locals as they are scared to share the stories as they've been brought up to believe that there'll be trouble if stories of the fairy folk are shared. This ties in with the mystery disappearances of young girls, and when Audrey discovers the body of one girl washed up on the shoreline it is only natural that the locals fear more trouble is coming their way. There's a great range of characters in this book - Audrey is a troubled young woman but eager to get on in life and not settle for life as a wife as expected in those days. She is desperately missing her mother and wants to know more about the way she died too and while she is back in the area she also finds out more about her. Miss Buchanan is another great character! A very imposing woman who is virtually housebound due to an accident, but still has an inquisitive mind and great hold over the locals. Her nephew Alec has been assisting her with the folklore tales but is keen to be a writer and story collector in his own right so is often distracted by his own endeavours. I also loved the way the story of Bainne is dotted throughout this book. A story from the folklore world, it gives a real insight into the fairy life and a sense of how much power the stories had over the local communities who often ran their way of life according to superstition. And with the times they were living in being so tough it was easy to see why they put so much faith in these dark stories - as one character said 'it's better to be terrified than miserable' . I really enjoyed the slow build of this story. With various threads running throughout there was always something going on, a new story to be told, a new mystery to be investigated and combined with the bleak setting it really made this an unsettling and atmospheric read. Whenever Audrey got close to uncovering a truth there was always something put in her way to make her start questioning her own sanity, and as a reader you were never quite sure who to trust as so many seemed keen on keeping Audrey away from their way of life. Highly recommended for those who love their tales dark and disturbing! !